Even on a dark wintry day, the Belfast hills looked good in my post from Knocknagoney, so today I have more pictures of the hills. I took this photo in September 2015. 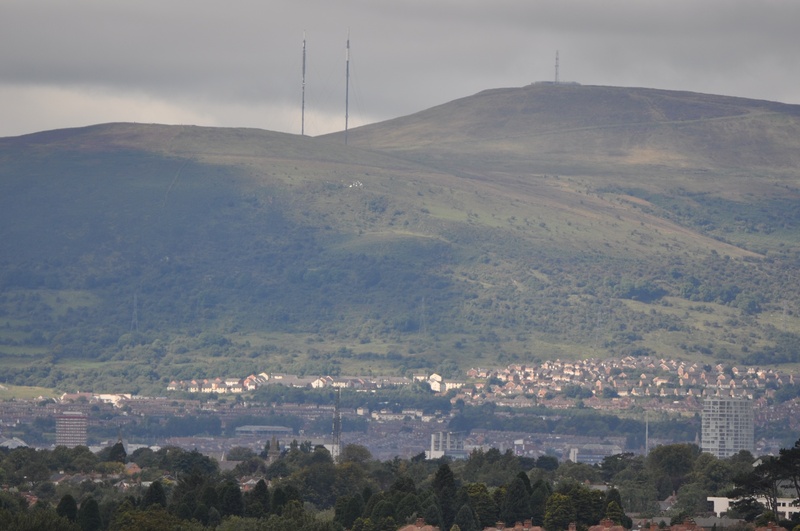 The summit of Black Mountain (390m) is on the left; the summit of Divis Mountain (478m) is on the right. The vertical poles are television transmitters. 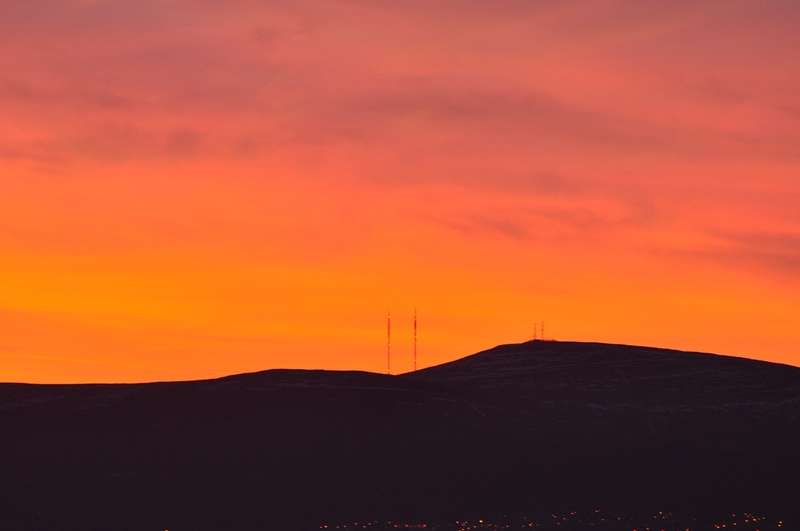 Divis Mountain has given its name to Divis townland; and Black Mountain has given its name to Black Mountain townland (even though its summit is in Divis townland). The hills may look wild, but are easily accessible by car. 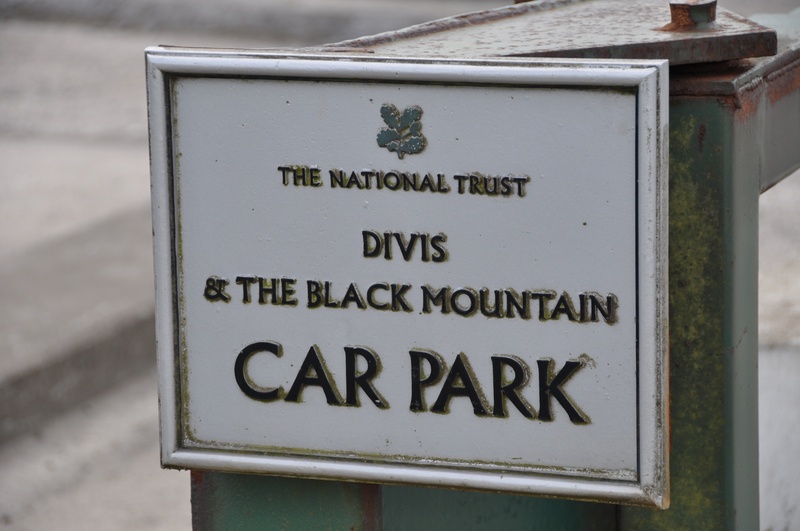 The National Trust provides a carpark in Divis townland. The Trust also maintains paths across the hills. I have a tendency to take too many photos of gates and fences; for some variety, here is a stile. 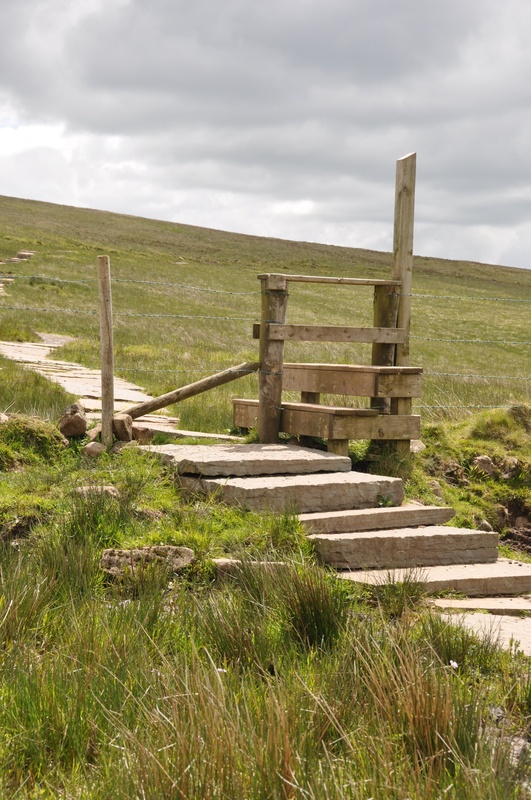 The stile allowed me to walk across the hills of Black Mountain townland, but kept the livestock from roaming too far. I was watched by these two characters. If you walk far enough you can feel that you are right on top of the city. According to the PLACENAMESNI website, it is possible that the names of both hills come from the Irish Dubhais meaning “black ridge”, referring to their dark basalt rock. Dubhais has been anglicized as Divis for one hill and one townland, and translated into Black Mountain for the others. Here is an image of sunset over the black ridge in February 2015. 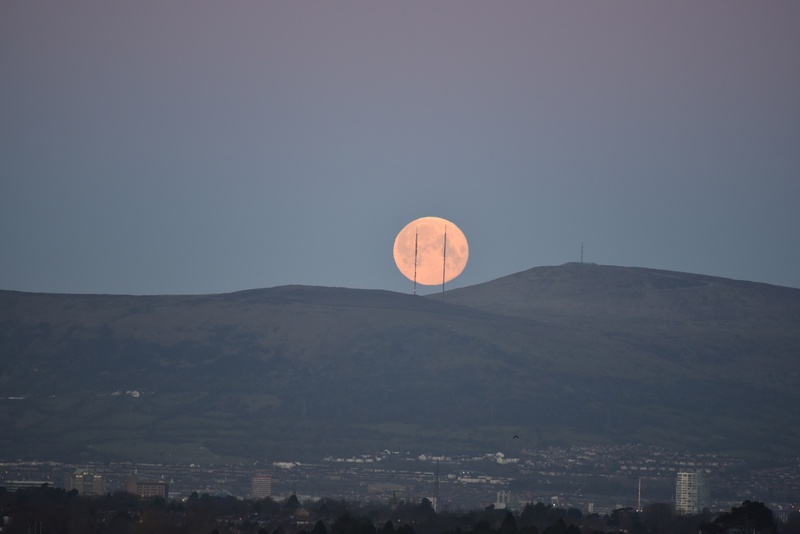 One year later, the moon was setting behind the TV transmitters. Why do I have so many images of these hills? Because I’m lucky enough to have this view from my own home. The Belfast Hills Partnership is an excellent source of information on the townlands, archaeology, landscape and culture of this area. Click here for their website. And click here for their townlands map. 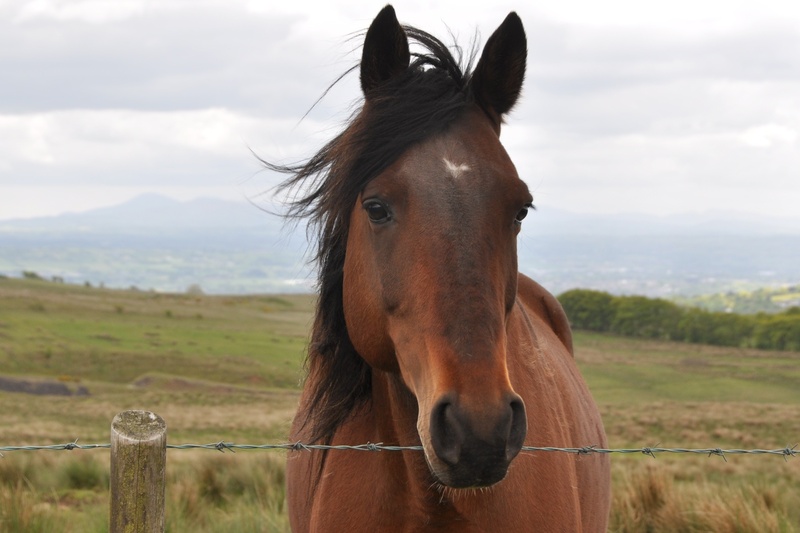 For details of walking routes on Divis and Black Mountain, click here for the National Trust website. Which townlands border Black Mountain townland? To the east, Ballymurphy, Ballydownfine, and Ballymoney. To the south, Englishtown and Hannahstown. To the west, Divis. All clearly illustrated on this map. 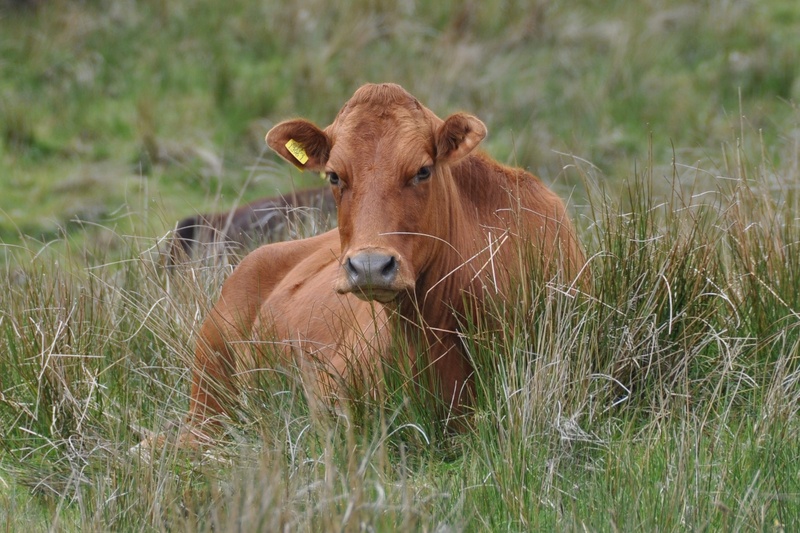 Click here for a map of Black Mountain townland on Townlands.IE. 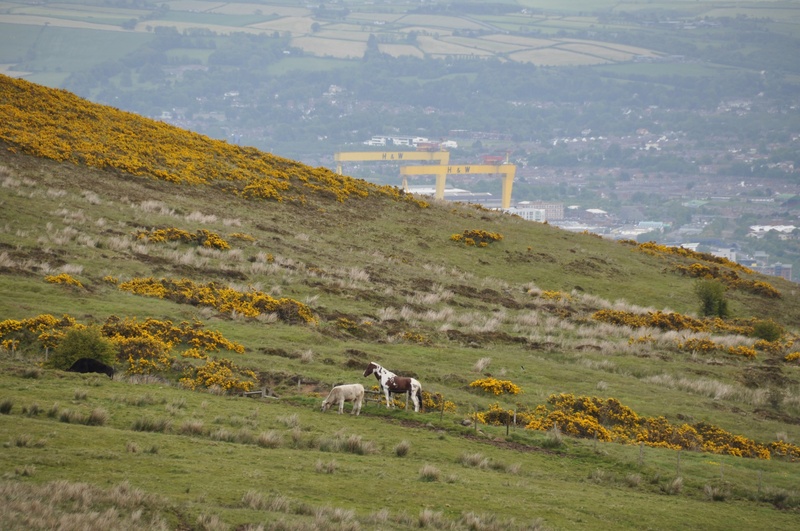 Which townlands border Divis? To the north, Altigarron. To the east, Ballygomartin, Ballymagarry, Ballymurphy and Black Mountain. To the south, Hannahstown and Tornaroy. To the west, Budore and Ballyutoag. All clearly illustrated on this map. Click here for a map of Divis townland on Townlands.IE. What a lovely view; lucky you! And that’s only one direction…we look south to even bigger hills, and east to rolling green drumlins. You must come and visit one day! I’d like that very much! Gorgeous views! I love it that these hills are so walk-able. Big enough to be impressive, but not so steep as to rule out hiking. Wow! This is the view from your home??? Can I say wow again? Particularly love the spectacular sunset pics. Yes. Now you know why I don’t spend all my time in Marylebone.